Lady Dorothy Mason was the eldest daughter of Sir Richard Mason and his wife Anna Margaretta Long. 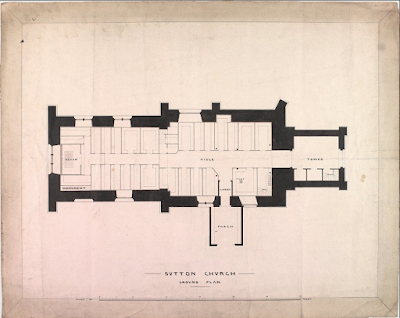 Her father, Sir Richard Mason, was a senior official in the court of King Charles II and Lord of the Manor of Sutton. She was born in May 1664 and when she was about 20 years old married Sir William Brownlow, 4th Bt., son of Sir Richard Brownlow, 2nd Bt. and Elizabeth Freke. She was celebrated by her family for doing everything that a young woman of her rank and position should do which was provide her husband with lots of children. 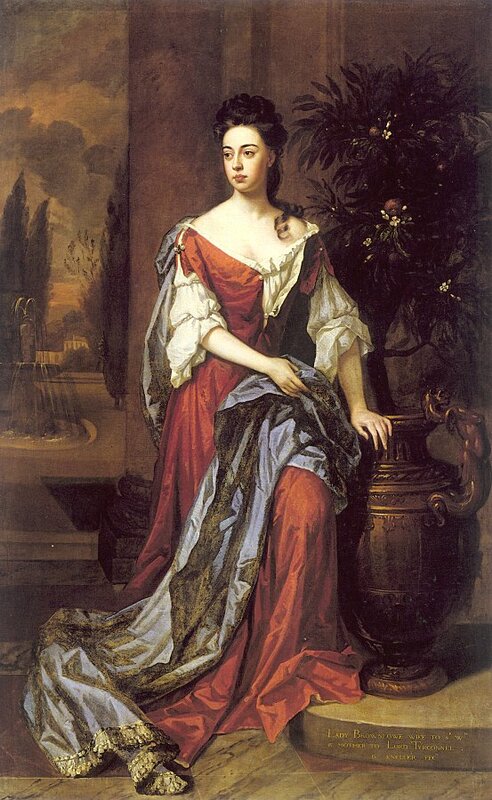 Her father had attended King Charles II as he was dying in February 1685 only for himself to die the following month. The family were nevertheless proud to boast that he had served both Charles II and James II. By 1688 James II, as an open Catholic, had alienated many of his subjects and in the October of that year, he fled following the invasion of William of Orange in the sequence of events known as the Glorious Revolution. In her 16 years of marriage, she gave birth to 5 children. In the above portrait of Dorothy Mason, Lady Brownlow by Godfrey Kneller, painted between 1680-1690 she is shown in fashionable undress. Her nightgown is casually unfastened at the breast, and her chemise sleeves are caught up in puffs, probably with drawstrings. Lady Brownlow died in 1700 aged 36. 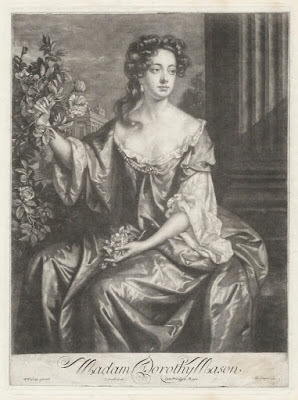 Her husband then married Henrietta Brett, the sister of a Henry Brett, who was already his brother in law because he had married Anne Gerrard (nee Mason), the divorced wife of the Earl of Macclesfield. 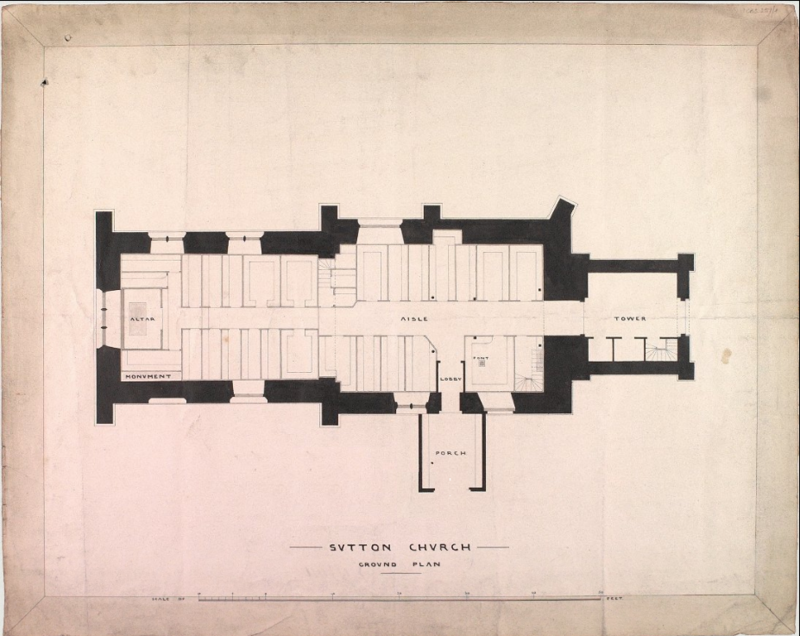 Dorothy was buried at Sutton. 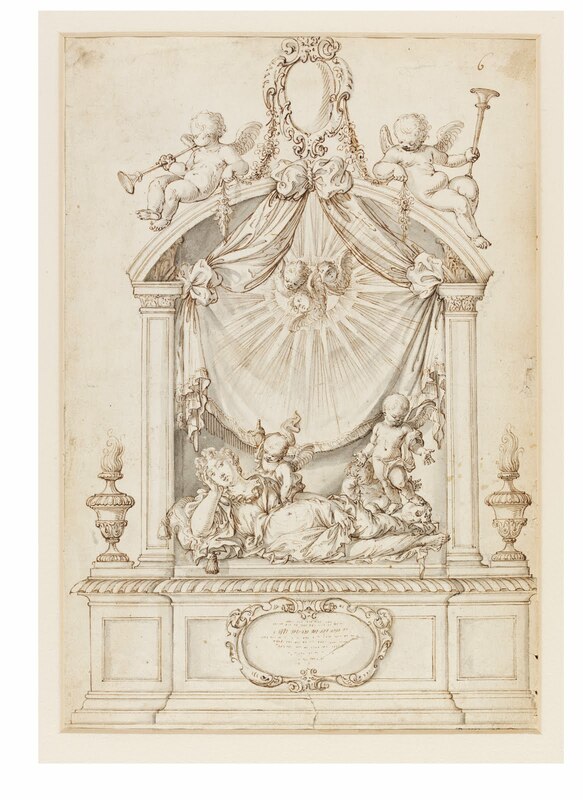 Her monument was designed by Caius Gabriel Cibber (1630-1700) and the design is now in the V&A museum. 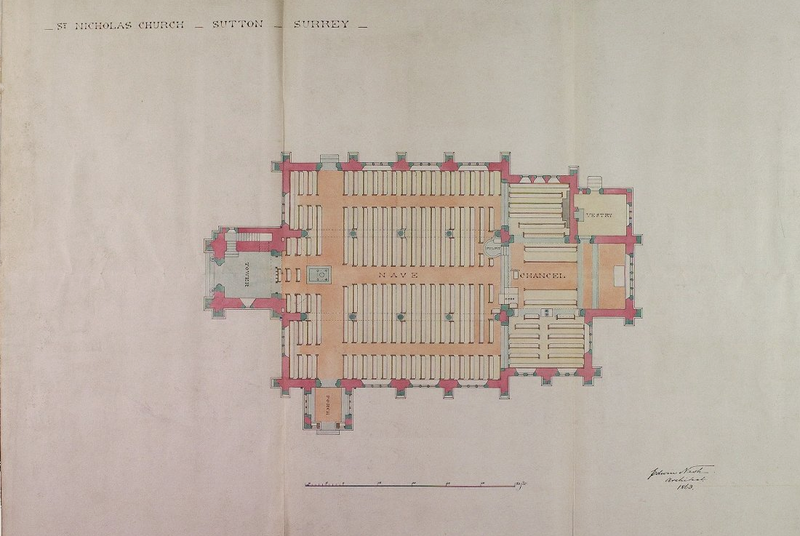 You can see from this plan of old St Nicholas Building that the monument was huge occupying the south wall of the sanctuary. When the church was rebuilt in 1864 the monument was moved to the East Wall in the North East corner of the new building. It is now concealed by the organ that was installed in 1899 by the firm Norman and Beard of Norwich.